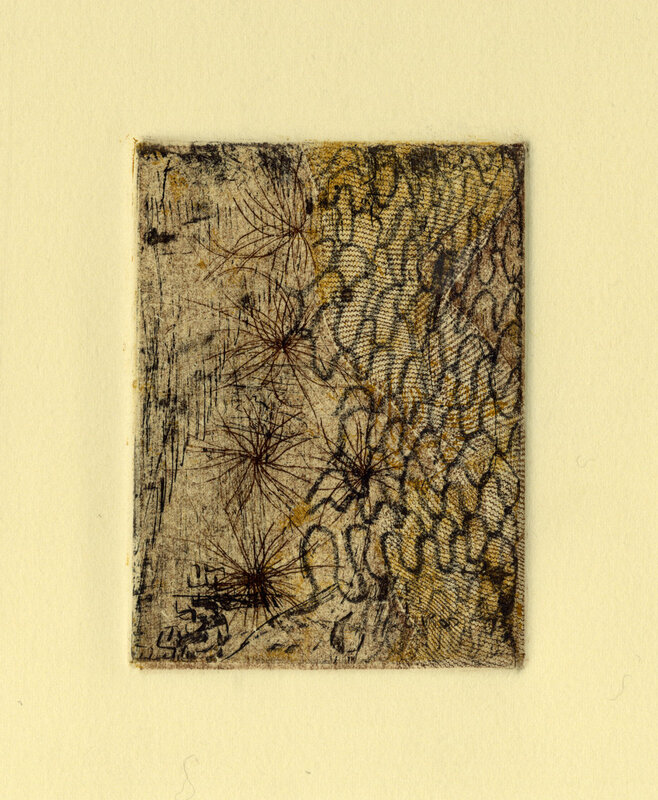 A series of tiny intaglio prints, featured in an artist book with accompanying prose-poems. First version of a deck of 27 autobiographical "tarot" cards. Woodcut images in 3 panels of 9 cards each, printed on Thai Kozo paper. Individual cards cut from panels and chine colleed to Arches 88 paper with 6-color screenprinted floral pattern on the back, and a hand-made box. See the second version in 2-color linoleum under "Scylla & Circe Press" !